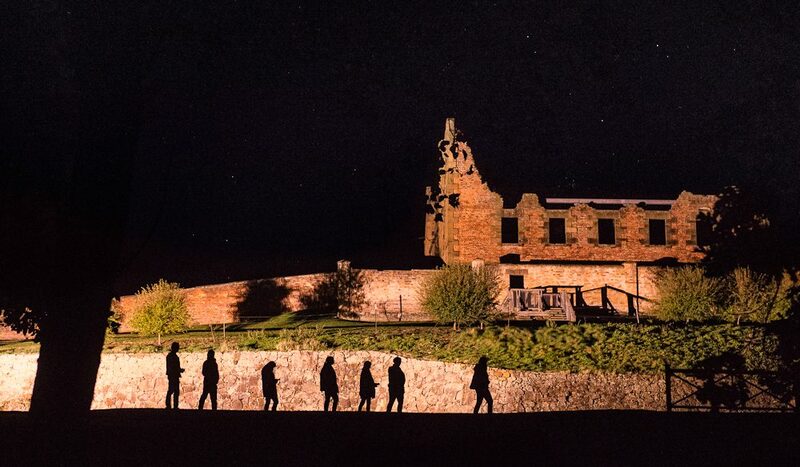 On the ghost trail: Port Arthur's Paranormal Investigation Experience (photo: Jonathan Wherrett). This Port Arthur ghost hunt (Paranormal Investigation Experience) in Tasmania is the scariest thing Rob McFarland has ever done, he says. It’s 11pm and six of us are huddled on the stairs of the Commandant’s House in Port Arthur Historic Site. We’re the only ones left in the former convict settlement – the day trippers departed hours ago and we passed the last of the ghost tours on our way in. A deathly silence engulfs the room. I’m on a ghost hunt or, to give the tour its proper name, a Paranormal Investigation Experience. It’s the brainchild of Caitlan and Mel, two Port Arthur guides who hope to collect scientific data to back up the folders of anecdotal evidence about paranormal activity at the site. Our evening begins with a briefing in the lunatic asylum, so called because until 1877 that’s precisely what it was. Mel flips open a Men in Black-style suitcase to reveal the gadgets we’ll have at our disposal. In addition to the Zoom H4n, there’s a KII meter for measuring electromagnetic fields, an instrument for measuring temperature and pressure fluctuations, and a video camera that’s been adapted to capture infrared light. Written evidence of unexplained happenings at Port Arthur dates back to 1870. Phenomena range from disembodied voices and poltergeist movement, to people being physically attacked. Mel and Caitlan have both had several unnerving encounters yet remain remarkably sceptical. They acknowledge that many phenomena have a rational explanation and that the power of suggestion is a potent force. Still, it’s clear they’d like to find proof. “I would really, really love to see a ghost,” admits Caitlan. I, on the other hand, would really, really hate to see a ghost and I’m desperately hoping they can sense this as I cower on the stairs, dry mouthed, stomach churning. 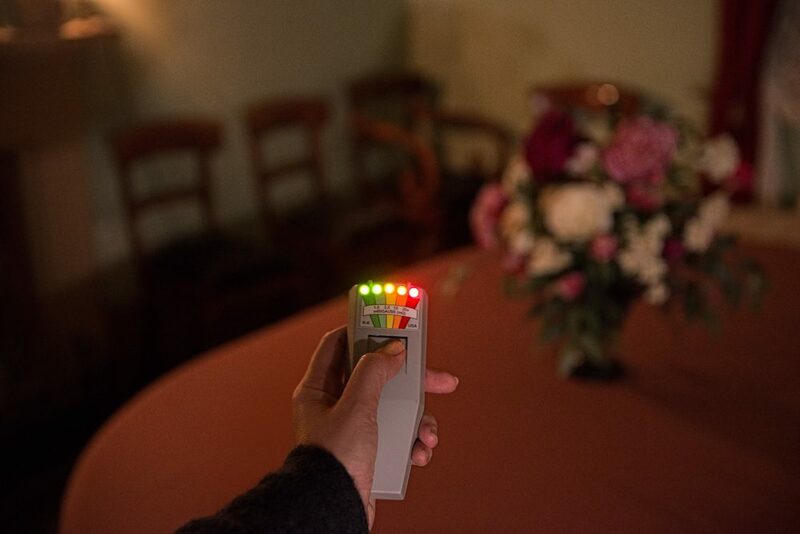 Thankfully, nothing touches me (or anyone else) so we move on to the next stage, which is to select a piece of equipment and wander through the house taking readings “anywhere you feel uneasy”. Armed with the night-vision video camera, I tentatively push open a door and enter a small bedroom with a lone creepy-looking rocking chair. Uneasy doesn’t do justice to the sphincter-gripping terror I’m experiencing so I start filming, praying with all my heart that nothing jumps out or moves. Back in the hallway Mel talks us through some of the incidents reported here. People have seen an old woman sitting in the rocking chair, a little girl running between rooms and heard footsteps. Mel herself has witnessed the lights swinging violently when she was locking up, even though there was no one left in the house. To my alarm, she now suggests we return to these places and take additional readings. Reluctantly, I film a few seconds of footage in the bedroom through half-shut eyes before hurriedly returning to the group. We have a quick debrief and apart from one guy experiencing a prickling on the back of his neck, no one sees or feels anything untoward. Nerves are clearly frazzled, though. As we’re leaving, the equipment case lid inadvertently slams shut and three of us jump clean out of our skins. Our next stop is the Separate Prison, a three-winged complex where guards attempted to reform unruly inmates through sensory deprivation. Prisoners were kept in solitary confinement in thick-walled cells for 23 hours a day while warders wore felt slippers and used sign language to ensure there was no sound. Once a week prisoners attended church but wore masks and were kept in total isolation in separate cubicles. Unsurprisingly, many ended up going mad. Again, we’re encouraged to explore and take readings. 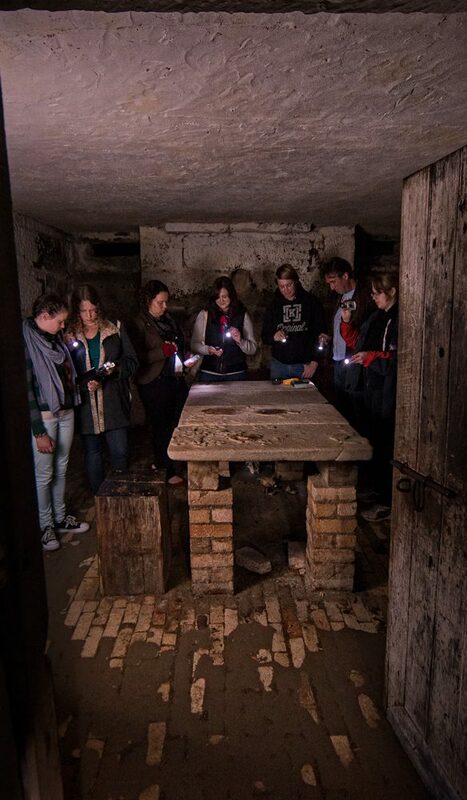 Caitlan shows three of us the punishment cell where prisoners would spend all day in complete silence and darkness. After 30 seconds I’m overcome with claustrophobic anxiety. Some men spent 30 days in here. Investigation complete, we return to the asylum centre for a late supper of soup, hot drinks and ghost-shaped biscuits. After every tour the girls check all the footage for unusual activity and they play us the most compelling evidence they’ve found so far. It’s a recording taken in the Separate Prison late one night where a voice appears to say “ghost tour” (since then they’ve captured several other unexplained voices). Despite all the evidence, the girls’ healthy sense of scepticism lends the tour a reassuring authenticity. Getting there: The town of Port Arthur is a one-hour-and-20-minute drive from Hobart. It’s home of Australia’s most intact convict site; it’s well worth devoting a day here, prior to the paranormal tour. Staying there: We stayed at Stewarts Bay Lodge, which has modern apartment-style log cabins and is a 15-minute stroll from Port Arthur Historic Site. Rates from $159. 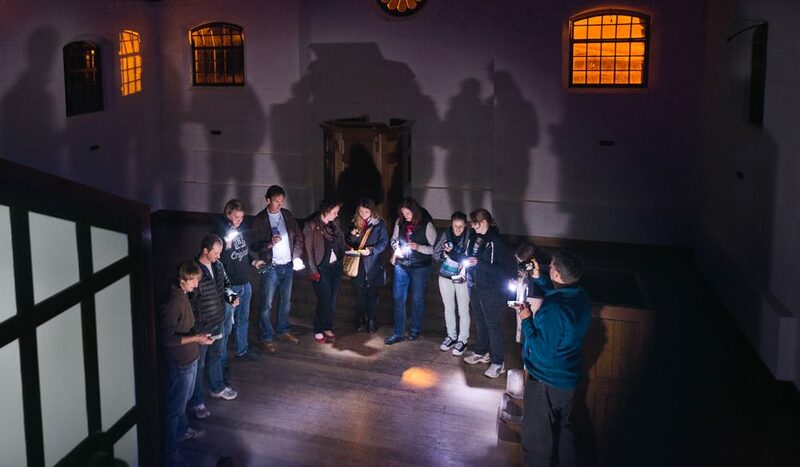 Touring there: The Paranormal Investigation Experience operates on the last Saturday of each month and is limited to 20 people. Cost is $130 per person, adults only. See portarthur.org.au for more information.